What did the 49 co-sponsors of a resolution to block the Environmental Protection Agency’s Clean Power Plan have in common? A total of $52 million in political contributions from the oil and gas, electric utilities and coal mining industries to their campaigns. the voting record of every senator and representative on key votes that relate to clean energy, fossil fuels and climate change. The Sunlight Foundation's data are based on contributions from the oil and gas, electric utilities, and coal mining sectors, as reported to the Federal Election Commission. NRDC Action Fund policy experts identify the votes that have the greatest potential to impact clean air and climate policy. The energy industry-backed resolution to repeal the Clean Power Plan, which passed in the Senate but will certainly be vetoed by President Obama, wasn't able to actually undercut the Clean Power Plan. It did, however, tell voters whose agenda these politicians supported. The average anti-Clean Power Plan co-sponsor has taken just over $1 million from polluters. Senator John Cornyn of Texas has taken the most—$5.4 million over the course of his career. ... Senator Jim Inhofe of Oklahoma has taken $3.2 million. And the Senate’s ringleader, ... Senator Mitch McConnell, has taken $3.8 million from polluters during his career. WhoVotesDirty.com enables citizens to utilize social media tools to hold these public officials accountable for their votes to help drive policy change and to protect our bedrock environmental laws. Holding politicians accountable is essential to the Democratic process and citizens’ interest. But accountability relies on open, transparent information. Thanks to the Sunlight Foundation, the Who Votes Dirty website is able to shine light on the relationship between campaign money and crucial energy votes. 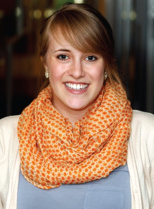 Chelsea Phipps is a Communications Associate at the NRDC Action Fund. Previously, she worked as a legal reporter with the Wall Street Journal in New York City, with International Development Enterprises in Phnom Penh, Cambodia, and with Foundation for Sustainable Development in Masaka, Uganda. She received her Bachelor’s Degree in international development and political science as a Morehead-Cain Scholar at University of North Carolina at Chapel Hill. Email her at cphipps@nrdc.org.